It's the countdown to Christmas. There are 25 days to go until we celebrate the birth of Jesus Christ, the Son of God. 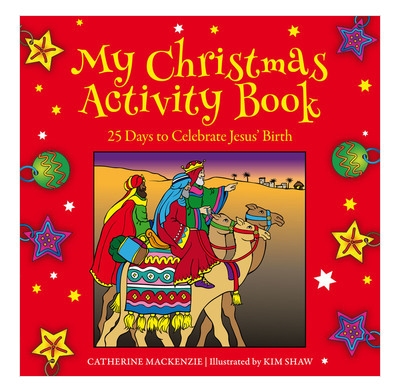 In this book there are puzzles and codes, activities and crafts to help you remember the real reason for Christmas - the fact that God sent his Son to the world so that people could become God's friends once more. Look out for the full colour pull out advent calendar! Something you can use each day as you go through the book and as you count the days until the big day itself.